The time is 1981, and Sibyl Danforth has been a dedicated midwife in the rural community of Reddington, Vermont, for 15 years. But one treacherous winter night, in a house isolated by icy roads and failed telephone lines, Sibyl takes desperate measures to save a baby's life. She performs an emergency Caesarean section on its mother, who appears to have died in labor. A family living in a makeshift shanty in urban Kenya scurries to find gifts of any kind for the impending Christmas holiday. A Rwandan girl relates her family's struggles to maintain a facade of normalcy amid unspeakable acts. A young brother and sister cope with their uncle's attempt to sell them into slavery. Aboard a bus filled with refugees - a microcosm of today's Africa - a Muslim boy summons his faith to bear a treacherous ride across Nigeria. Identical twins Dominick and Thomas Birdsey were born in the waning moments of 1949 and the opening minutes of 1950. Now at 40, Dominick's entire life has been compromised and constricted by anger and fear, by the paranoid schizophrenic twin brother he both loves and resents, and by the past they shared with their adoptive father, Ray, a spit-and polish ex-Navy man, and their long-suffering mother, Concettina. The brothers' relationship undergoes the ultimate test when Thomas commits an unthinkable act that threatens the tenuous balance of both his and Dominick's lives. 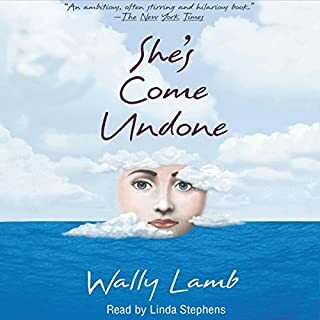 Wally Lamb's long awaited follow-up to the critically acclaimed novel She's Come Undone is narrated by Tony Award-winning actor Ken Howard. Much of the substqance of this fine book was lost as a result of it being abridged. I had read the book previously and was grossly disapointed in the audiobook. I really enjoyed this story, but even though I never read the whole book, it was so obvious that there where huge gaps and holes. I still gave it 5 stars, but would love to hear the unabridged version of this. 6 hours is not enough time for character development, or to do justice to a saga like this one. It's a shame neither audible or itunes offers an unabridged version. Abridging does not do the story justice. The book, yes. This audiobook, no. 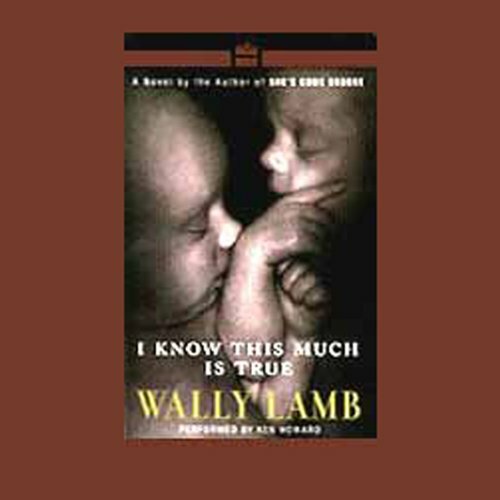 What could Wally Lamb have done to make this a more enjoyable book for you? Use the six hours to start on an unabridged version or read the book. The full text is amazing, but too much is cut out here, leaving the story muddled, jumbled, confusing, and incomplete. 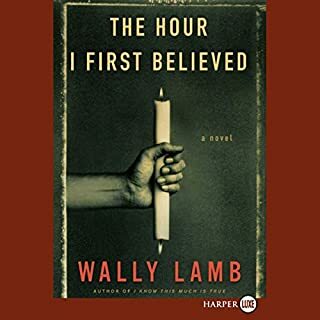 Wally Lamb weaves a tapestry of rejection and forgiveness. In this story of twins, Dominic and Partick are the last remnants of the Tempesta family that are becoming unraveled; Dominic by his apparent rejection by his family and Patrick by his schizophrenia. Lamb tells the story through the eyes of the angry, self-pitying Dominic who inherits two things that change his life, his schizo brother and the memoirs of his cruel grandfather. How Dominic deals with his inheritence is the subject of the plot. Dominic comes to realize that this much is true; mutts make good dogs, out of the rich loam of forgiveness love is found and all things are circular. 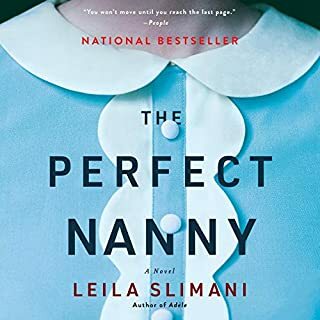 This book will appeal to anyone who has a disfunctional family, especially an immigrant family. The story is wonderous because Lamb combines the right amount of realism with myth and superstition to tell a most intriguing story. This book is in the top ten of bookk I have ever read. This is one of my all time favorite books. Too bad this abridged version leaves out half the story and I am not exaggerating. I'm so shocked at how much they left out I'm going to try to contact the author. The only positive is that now I know to NEVER listen to the abridged version of ANYTHING! The definition of abridged is to "shorten a story without losing the sense of the story." There is no story with what audible has done to it. At least they refunded my credit. 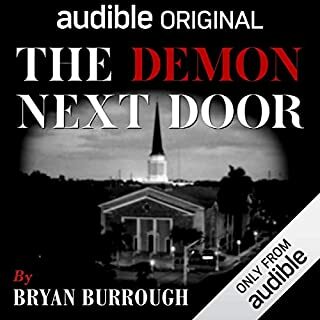 Where does I Know This Much Is True rank among all the audiobooks you’ve listened to so far? This was my first one and I was mildly disappointed that the story ha been cut short. 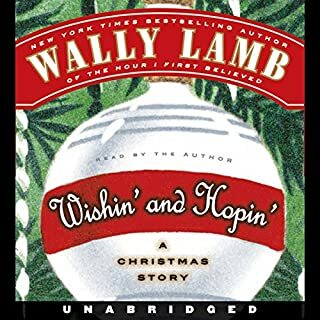 If you’ve listened to books by Wally Lamb before, how does this one compare? I can't pick just one. It's a large book, so no. I love this book and only have a couple hundred pages left. I thought I might finish it on a car ride, but turns out it is missing whole sections. Unfortunately pretty useless. READ THIS BOOK FIRST. IT'S STUNNING. Beautifully read. SHOULD NOT HAVE BEEN ABBRIDGED. Wally Lamb is a sublime writer. The best. What did you love best about I Know This Much Is True? I find Wally Lamb's writing to be honest, real, and gripping. What about Ken Howard’s performance did you like? Each step in the process of realizing that Dom wasn't so different from his twin after all. This is the novel that spurred my addiction to audiobooks. This is a powerfully human story. 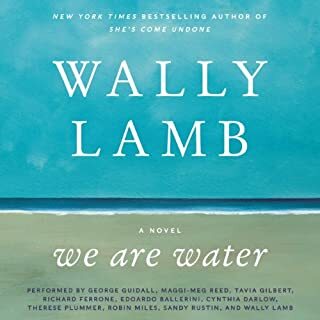 Lamb enables the reader to experience pain and joy, hope and despair, through his well developed characters. When I finished the very lengthy unabridged version, I felt a strong sense of loss, because I truly missed the characters. Also, his other novel is similarly moving.